There will be a public hearing for the Hilldale Indian Education Committee. The meeting will be held Thursday, April 25, 2019. 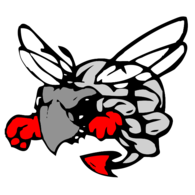 The meeting will start at 4:00 p.m. in the Administration building at 313 Peak Blvd (next to the elementary). The purpose of the meeting is to discuss the current issues involving our Indian Education program and approval of the new 2020 application. The meeting is open to the public and all Johnson . . .
To access 2017-2018 report cards for the Hilldale District, visit www.oklaschools.com . 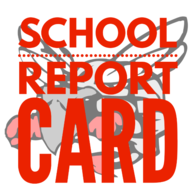 To view previous report cards, visit our School Report Card page . High school Student of the Month for March is Madelyn Rogers. High school Employees of the Month are Starr Krepps, David Smith, and Chris Delay. Congratulations! 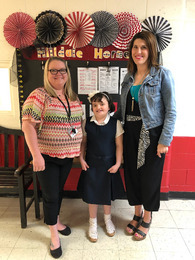 The Upper Elementary March Student of the month is Gracie Holland, Third Grader in Ms. Rigsby’s homeroom. Our Upper Elementary Employees of the month are Mrs. Morphis, Reading Specialist and, Tracy Mills, Support Staff. Congratulations! Congratulations to the Lower Elementary student and employees of the month! 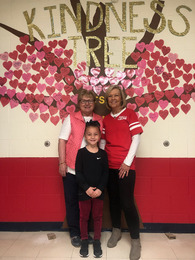 The March Student of the Month is Julianna Morse, kindergartener in Ms. Dotson's homeroom. The Employees of the Month are Mrs. Hutson, Preschool teacher, and Patty Hiner, Support Staff. 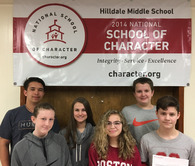 Students and staff receiving the Character First Awards for Patience for the month of March were Luke Hoyler, Emily Ellis, Natalie Arnold, Mikae Jones, Jonathan Abell, Joseph Wood, Ms. Janie Reheard and Coach Ryan Keenom. Hilldale Middle School works to implement programs that build strong citizens through character education, leadership development, community involvement and promotes a climate of mutual respect. Congratulations to the Student and Employees of the Month for February! The high school Student of the Month is Natalie Wood. High school Employees of the month are Milissa Watson, Connor Schwab, and Emily Wasson. The 8th grade have been preparing to take state tests with teachers hoping to make learning as fun as possible. During Flex time they made game boards to study active and passive voice. 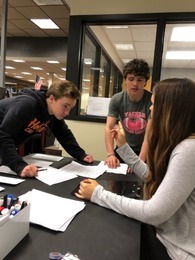 In the library Mrs. Croftcheck created a “Clue” style mystery that had students racing around the library answering review questions to be the first one to solve the mystery. Check out the video posted by Hilldale Education Foundation showing the current construction progress at the elementary! https://www.facebook.com/HilldaleEducationFoundation/videos/2259478750940469?sfns=mo Don't forget you can support the Hilldale Education Foundation by purchasing a brick paver to be placed at the new elementary entrance. Deadline is April 1. Click here for more info. The 8th grade won the Sequoyah Smackdown Contest this year! Students had to read 3 or more Sequoyah books to qualify and the grade with the most students won the trophy. Summer Johnson read the most with 6 books. This is the 8th grade's second win in a row.